âYou can take it from the Minister, it is absolutely not true,â the prime minister said. He made the comment following an article dated January 12, 2012 on âCaribbean 360.com where Barbadian Minister of Finance and Economic Affairs, Christopher Sinckler was quoted as confirming that the Barbados Insurance Scheme will be investing in the âFour Seasonsâ resort project. The article indicated that Sinckler also said that the Barbadian entity was joining with the national insurance schemes of Dominica and St Vincent and the Grenadines as minority investors in the tourism based project. âWhen I saw the report, I said but where did these people get this from?â the prime minister questioned. He said that perhaps somebody in Barbados may have made an error. According to the prime minister, the NIS had been asked to make an investment. 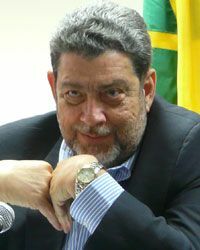 âNaturally if we are asked, we will study the project,â Gonsalves said, adding that the decision made by the relevant authorities from within the NIS was that the project was not one that it would have liked to invest in. âNobody from the political directorate in Barbados had called or asked about it, it was just something that was done by persons who were enquiring whether the NIS would want to be involved,â he explained. He said that he was shocked to see that it was reported that along with the NIS in Barbados, the NIS in Dominica and St Vincent was involved in the project as minority shareholders.